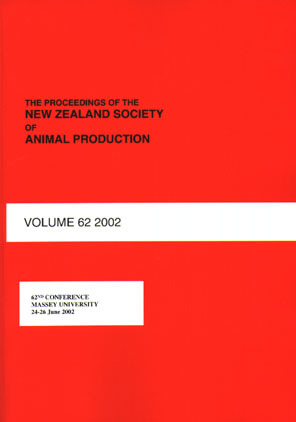 The aim of this study was to investigate the culling reasons in cows milked once-a-day (OAD), evaluating the differences of production, fertility and traits other than production (TOP) between retained and culled cows. Cows in different lactations from Massey University Dairy 1 were scored for 18 TOP for three consecutive seasons from 2013 to 2015. Herd-test records were used to estimate milk yield (MY), fat yield (FY), protein yield (PY) and somatic cell score (SCS). Low fertility, poor udder conforma-tion and low production were the main reasons for culling in all seasons. Overall, culled cows had a lower MY (3534±56 kg), FY (173.5±2.8 kg), PY (138.5±2.1 kg) and higher SCS (6.41±0.09) than retained cows (MY = 4006±41 kg; FY = 204.7±1.9 kg; PY = 160.6±1.5; SCS = 6.19±0.06). Culled cows had a poorer adaptability to milking (7.02 ± 0.04) and poorer farmer’s overall opin-ion (7.62±0.06) than retained cows (7.23±0.03 and 7.89±0.04, respectively). Moreover, culled cows had a weaker udder support (5.56), weaker front udder (5.48) and lower rear udder (6.01) than retained cows (6.19, 5.85 and 6.25, respectively). These traits might have a higher influence on the culling decisions of OAD dairy farms than the age and production worth of cows.